This notice has been sent to primary building contacts. Due to scheduled preventative maintenance on McArthur Court building equipment, building occupants should expect intermittent shutdowns on air handling units and restroom exhaust fans to allow crews to change system filters. This scheduled work will be taking place on March 14, 2018, from 8:00 am – 3:30 pm. Due to scheduled preventative maintenance on Esslinger building equipment, building occupants should expect intermittent shutdowns on air handling units and restroom exhaust fans to allow crews to change system filters. This scheduled work will be taking place on March 14, 2018, from 8:00 am – 3:30 pm. This notice has been sent to all building users in Klamath Hall. Due to scheduled preventative maintenance please keep fume hood sashes down during the below scheduled times in Klamath. The fume hoods cannot be used and all chemical containers should be closed during the indicated time. 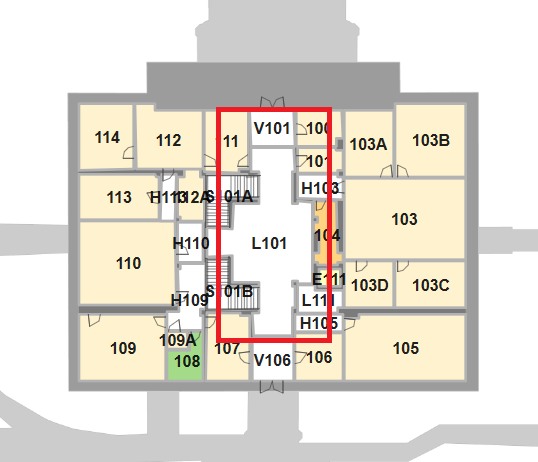 3/07/18 8:00 am – 11:00 am North fume hoods affect North end of building basement and 3rd floor. This will impact fume hood exhaust and HVAC Air Supply building wide. This work is necessary due to filter changes on the air handler units. On Wednesday, February 14, 2018, there will be two intermittent supply air shutdowns at Huestis impacting building exhaust and HVAC Supply air. This work is necessary due to filters changes on the air handler units. For questions or concerns please contact CPFM Facilities Services Zone B Maintenance Manager Bruce Budzik at 541-346-8834. Due to scheduled preventative maintenance on Condon Hall building equipment, building occupants should expect intermittent shutdowns on air handling units and restroom exhaust fans to allow crews to change system filters. This scheduled work will be taking place on January 31, 2018, from 8:00 am – 3:30 pm. Due to scheduled preventative maintenance on Prince Lucien Campbell Hall building equipment, building occupants should expect intermittent shutdowns on air handling units and restroom exhaust fans to allow crews to change system filters. This scheduled work will be taking place on January 31, 2018, from 8:00 am – 3:30 pm. 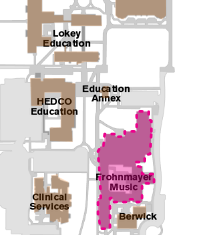 Due to scheduled preventative maintenance on McKenzie Hall building equipment, building occupants should expect intermittent shutdowns on air handling units and restroom exhaust fans to allow crews to change system filters. This scheduled work will be taking place on January 24, 2018, from 8:00 am – 3:30 pm. 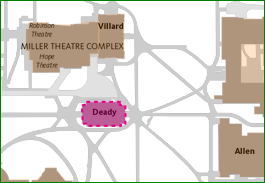 Due to scheduled preventative maintenance on Deady building equipment, building occupants should expect intermittent shutdowns on air handling units and restroom exhaust fans to allow crews to change system filters. This scheduled work will be taking place on January 17, 2018, from 8:00 am – 3:30 pm. 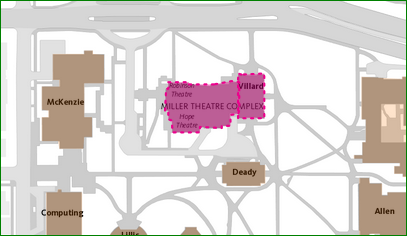 Due to scheduled preventative maintenance on Miller Theater Complex building equipment, building occupants should expect intermittent shutdowns on air handling units and restroom exhaust fans to allow crews to change system filters. This scheduled work will be taking place on January 17, 2018, from 8:00 am – 3:30 pm. Starting December 28, 2017, at 6:00 am ending December 29, 2017, at 6:00 am (24 Hours) the supply air will be down for the east portion of the Huestis Hall, on all floors, to replace a fan/motor assembly in supply fan SF2. Due to scheduled preventative maintenance on Lillis building equipment, building occupants should expect intermittent shutdowns on air handling units and restroom exhaust fans to allow crews to change system filters. This scheduled work will be taking place on December 20, 2017, from 8:00 am – 3:30 pm. Due to scheduled preventative maintenance on Anstett Hall building equipment, building occupants should expect intermittent shutdowns on air handling units and restroom exhaust fans to allow crews to change system filters. This scheduled work will be taking place on November 22, 2017, from 8:00 am – 3:30 pm. Due to scheduled preventative maintenance on Fenton Hall building equipment, building occupants should expect intermittent shutdowns on air handling units and restroom exhaust fans to allow crews to change system filters. This scheduled work will be taking place on November 22, 2017, from 8:00 am – 3:30 pm. 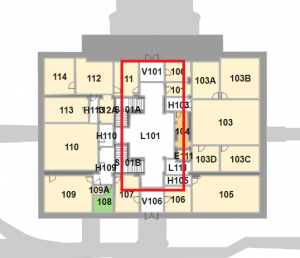 Due to scheduled preventative maintenance on Johnson Hall building equipment, building occupants should expect intermittent shutdowns on air handling units and restroom exhaust fans to allow crews to change system filters. This scheduled work will be taking place on November 22, 2017 from 8:00 am – 3:30 pm. Due to scheduled preventative maintenance on Klamath Hall building equipment, building occupants should expect intermittent shutdowns on air handling units and restroom exhaust fans to allow crews to change system filters. This scheduled work will be taking place on November 8, 2017, from 8:00 am – 3:30 pm. Special Instructions: During the hours listed please keep lab doors open for make-up air to the fume hoods. Due to scheduled preventative maintenance on Student Recreation Center building equipment, building occupants should expect intermittent shutdowns on air handling units and restroom exhaust fans to allow crews to change system filters. This scheduled work will be taking place on October 4, 2017 from 8:00 am – 3:30 pm.